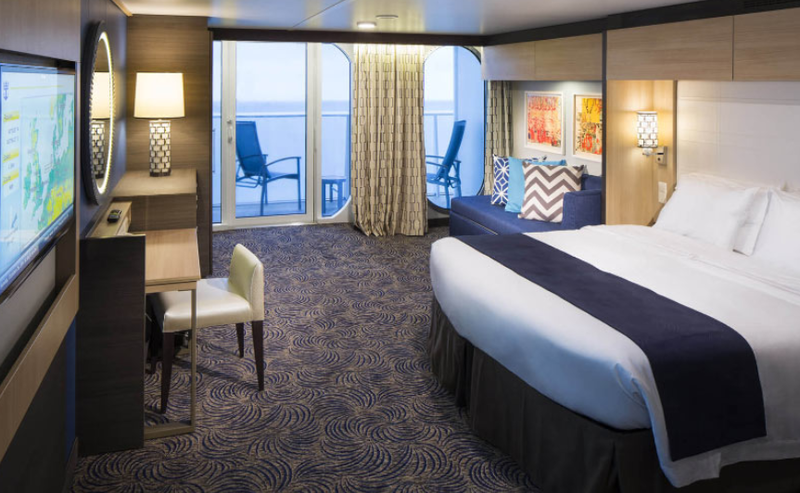 There are just over 7 weeks left for you to win a phenomenal cruise vacation for two! As you know, we’re celebrating LifeWave‘s 15 Year Anniversary in November, and it’s all happening aboard the spectacular Navigator of the Seas, one of the largest cruise ships in the world… and we want to see you there! Win this trip of a lifetime and you will be staying in an incredible ocean view room where you will take in the wonders of the Caribbean and its famous azure waters, all seen from your own private balcony! Each room features a private seating area, TV, mini-bar and room service… which is available 24 hours a day. All you have to do to experience this exciting trip among friends is grow your team! Earn 15 Promotion points by personally enrolling new Gold or Diamond members, or by having your personally sponsored members upgrade to Gold or Diamond, as indicated below. Just ensure they remain active for a minimum of 60 days. That’s it! We have a very special prize for a select few members during this promotion. Our Top 12 Sponsors will receive a one-of-a-kind, 15-Year Anniversary Coin created by Founder and CEO David Schmidt himself! This unique coin was crafted in one of David’s labs using a patented method no one else has ever seen. Truly a spectacular prize for you to win, celebrating 15 years of LifeWave and the launch of the all-new LifeWave X39™. You also have the chance to ‘Pay-Your-Way’ on this trip. Find out more HERE. * All new enrolments/upgrades must occur from January 19th, 2019 to April 30th, 2019. All new enrolees and upgrades must be active for 60 days. The trip is not transferable and must be used by the person who qualified. If you win and cannot attend, there are no cash substitutes. If a member purchases the cruise directly from the cruise line, you will not be able to attend the LifeWave events. Flights will not be arranged by LifeWave. Transportation to and from the airport is not provided by LifeWave, you must arrange your own transfers. Promotion expires April 30th, 2019 at 11.59 p.m. GMT (Irish Time). Our promotion to win a phenomenal cruise vacation for two is well under way. We’re giving you the opportunity to celebrate the LifeWave 15 Year Anniversary in style aboard the spectacular Navigator of the Seas, one of the largest cruise ships in the world! This is going to be one trip you don’t want to miss with exclusive LifeWave parties, epic excursions and a huge amount of surprises for all our members throughout the event. Make sure you win your place on the trip and build your business in the process – it’s a win-win! Earn 15 Promotion points by personally enrolling new members or upgrading them and ensuring they remain active for a minimum of 60 days. We have a very special prize for a select few members during this promotion. Our Top 12 Sponsors will receive a one-of-a-kind, 15-Year Anniversary Coin created by Founder and CEO David Schmidt himself! This unique coin was crafted in one of David’s lab using a patented method no one else has ever seen. Truly a spectacular prize for you to win, celebrating 15 years of LifeWave and the launch of the all-new LifeWave X39™.